It seems to be the year of music docs, ‘Downloaded: The Rise and Fall of Napster‘ is a feature length film on music industry game changer, Napster. 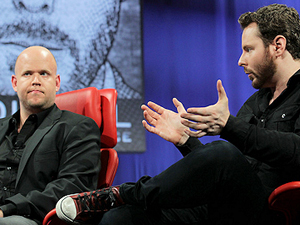 From this week’s All Things Digital Conference comes an interview with Spotify’s Daniel Ek and the OG record industry disruptor of Napster fame, Sean Parker. Spotify’s 18 million song catalog is adding 10-20,000 songs a day and still the question looms whether the artists are getting a fair share of the deal. PressPausePlay: The Documentary Featuring Hank Shocklee Now Available As Free Download! 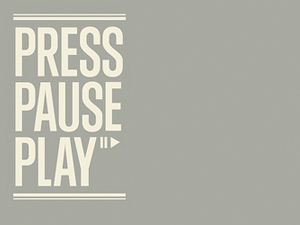 PressPausePlay is a documentary about creators and how the digital shift in our world has changed our creative culture. It features a cool cast of creative thinkers including our very own Hank Shocklee and you can now download it for free! PressPausePlay is a new documentary out featuring a cast of creative thinkers including our very own Hank Shocklee, that examines the digital shift in our society and how it’s affected the creative world.